My payday Lush treats this month included a solid body lotion and a replacement cleanser and they were two products I'd never tried before. 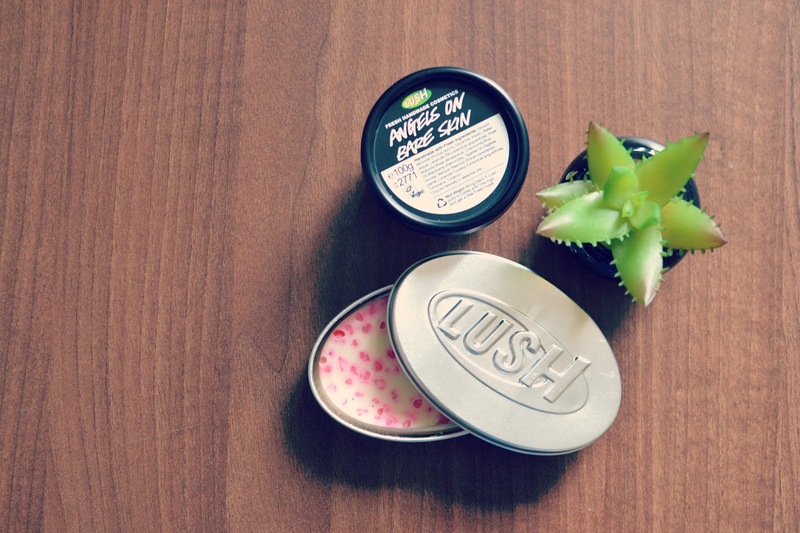 Since just after Christmas I have been using the 'Buche de Noel' fresh cleanser from Lush and I absolutely loved it - not only does it leave my skin feeling clean and incredibly soft and nourished, it's basically like putting boozy cake mix on your face. Which is just lovely. So imagine my disappointment when I realised that it was a Christmas limited edition - I'll have to wait until the Christmas collection 2017 launches to re-purchase, but I will certainly be doing so. On the hunt for the next best thing, I was recommended the 'Angels on Bare Skin' cleanser which is similar in terms of consistency and offers comparable benefits. The main difference with this product is the inclusion of lavender, which I don't mind at all as I love the smell and qualities it has. Like Buche de Noel, this is a sort of cake-mixture consistency; you take a small amount on to your hand and mix it with a drop of water to create a paste which you then apply to the skin. I've used it a few times, and thoroughly enjoyed doing so. 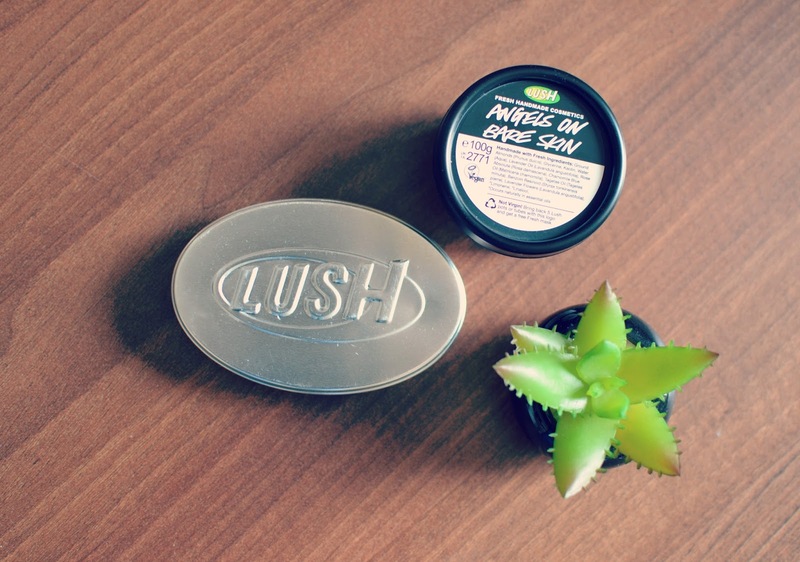 I've always overlooked the massage bars in Lush to be honest, as I wasn't sure what use I would have for them, but after chatting to a lovely sales assistant, I learned a little more about them so I decided to give one a try. I love the idea of 'naked' packaging, without lots of waste, and so I picked up a tin to store the bar in for a couple of pounds. Most of the bars are this same shape so I will get future use from it, too. So, basically massage bars are just that, bars that you can massage over the skin, but essentially they are a solid body lotion. 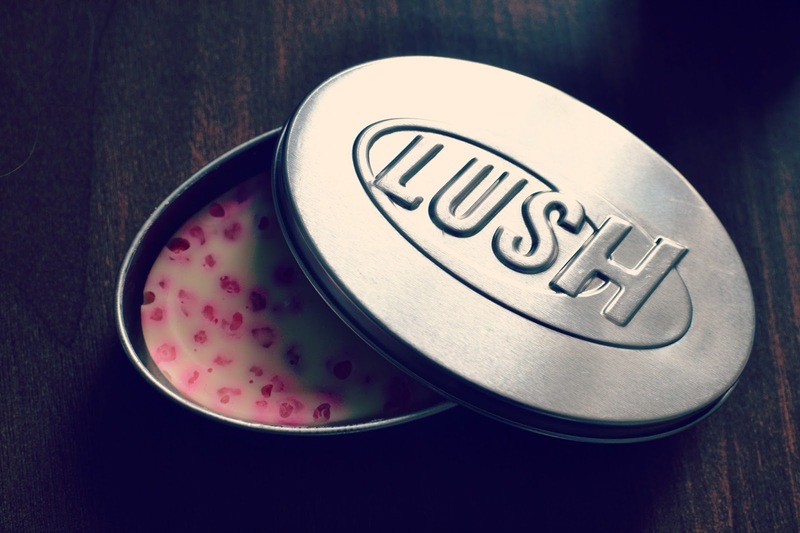 The bar melts on contact with the skin, leaving what amounts to basically a body oil which is incredibly nourishing. You can use it over and over again, so they are pretty good value for money, although they don't last perhaps as long as a bottle of regular body lotion would. 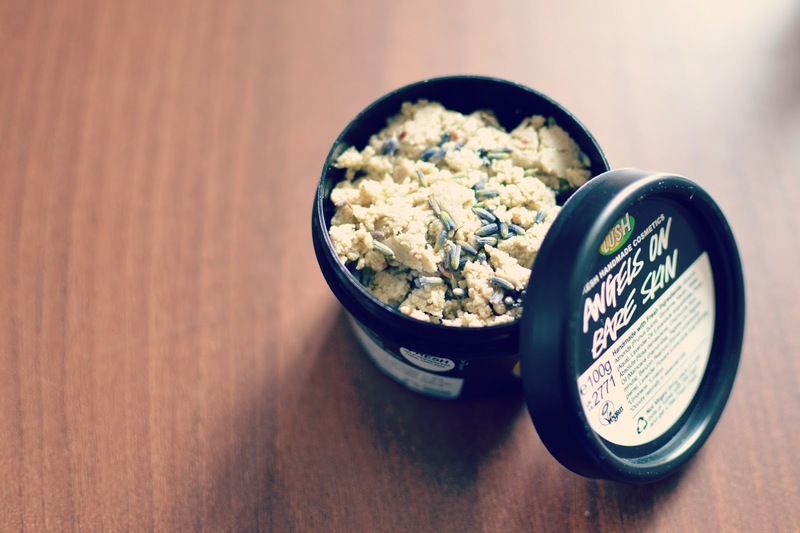 However, I've noticed that the benefits of using this outweigh the cons - my skin has never felt so soft and the scent from the bar really lingers on the skin, too. I chose this 'Pearl' bar which contains rose absolute and argan oils - it smells amazing as you can imagine. The pink bits are 'sago bubbles' which are meant to massage the skin but unfortunately they were quite scratchy, which was a shame as I loved everything else about the bar, but I'd probably choose a different one next time.